2 LG unveiled the G5 to a 2,000 strong crowd prior to the main MWC event to high acclaim. 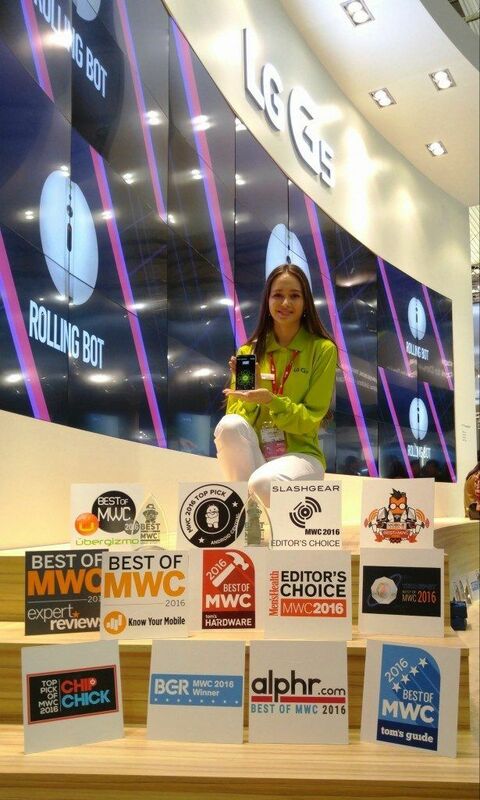 BARCELONA, Feb. 25, 2016 ― LG Electronics amassed a total of 33 awards at Mobile World Congress (MWC) 2016 including the event’s top honor, Best Mobile Handsets & Devices Award, securing status as the most honored company at the show. the LG G5 and Friends, demonstrating that the company is at the forefront of mobile communications. LG G5 and Friends earned top honors from Android Authority, Digital Trends, Trusted Reviews and Ubergizmo, among others. LG unveiled the G5 to a 2,000 strong crowd prior to the main MWC event to high acclaim. The flagship smartphone is a brand new design with a sleek, metal uni-body featuring a Slide-out Battery and a Modular Type design that gives a greater smartphone experience. Complete with LG Friends, a collection of companion devices, the G5 can be transformed into a digital camera, Hi-Fi player and more. With an estimated 100,000 attendees, MWC 2016 is the mobile industry’s keynote event.